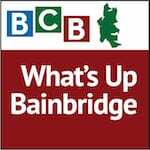 In this podcast, our guest is Autumn Strong of PAWS of Bainbridge Island and North Kitsap. She describes Wagfest 2014 — a fun day for families and canines at Battlepoint Park on Sunday Sept 7th from 11am to 6pm. This year is the fifth for Wagfest and promises to be bigger and better than ever. Local celebrity judges will cast their votes for waggiest tail, pet-owner lookalike, milkbone stacking, best costumes, and fastest weiner racing dog. At “Adoption Alley” you can peruse a number of adoptable dogs who are currently being cared for by area rescue groups. New events this year include a parade of dogs, agility courses and loads of children’s activities. Also new this year is the “Go-Dog-Go 5K Fun Run.” This is a casual, pet-friendly run. Runners, joggers and walkers of all ages and levels are welcome. If you like, you can register online in advance to start a team … or join one. And there’s food. Crepes, BBQ and other items from local vendors will be located throughout the park, so you can plan to stay all day. PAWS hopes to raise $10,000 this year. Funds from the day’s activities are used to spay or neuter and provide veterinary assistance for dogs whose owners can’t afford it. By attending this fun event, you can help seniors and low-income families retain their pets and be responsible pet owners. More information about the event is found here. Credits: BCB host: Cristie Thuren; BCB studio tech: Channie Peters; BCB editor and intro music: Tim Bird; BCB ferry music: DogFish Bay Studios; BCB podcast art: artopia creative.